December it's Time to come Goa and have a Blast in Goa with Music, Beach and Drinks. 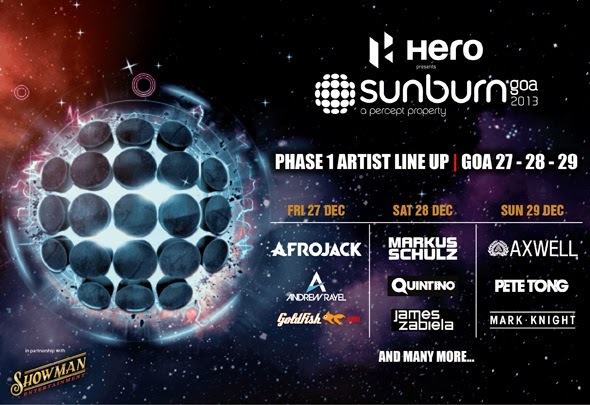 It's Time to Enjoy In Goa with Sunburn starting from 27, 28 and 29 December 2013 and Supersonic starting from 26- 30 December 2013. Sunburn is one of the Asia biggest electronic music event.